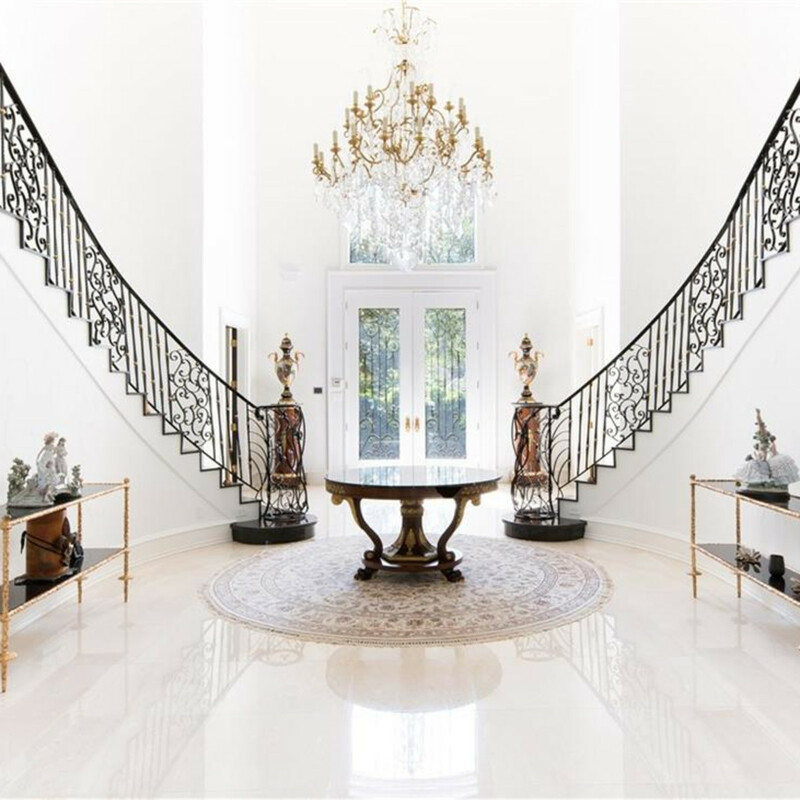 There are very few homes that merit the use of the word “palace," but walking through the grand entrance of 9006 Douglas Ave. is like stepping into a royal fairy tale. 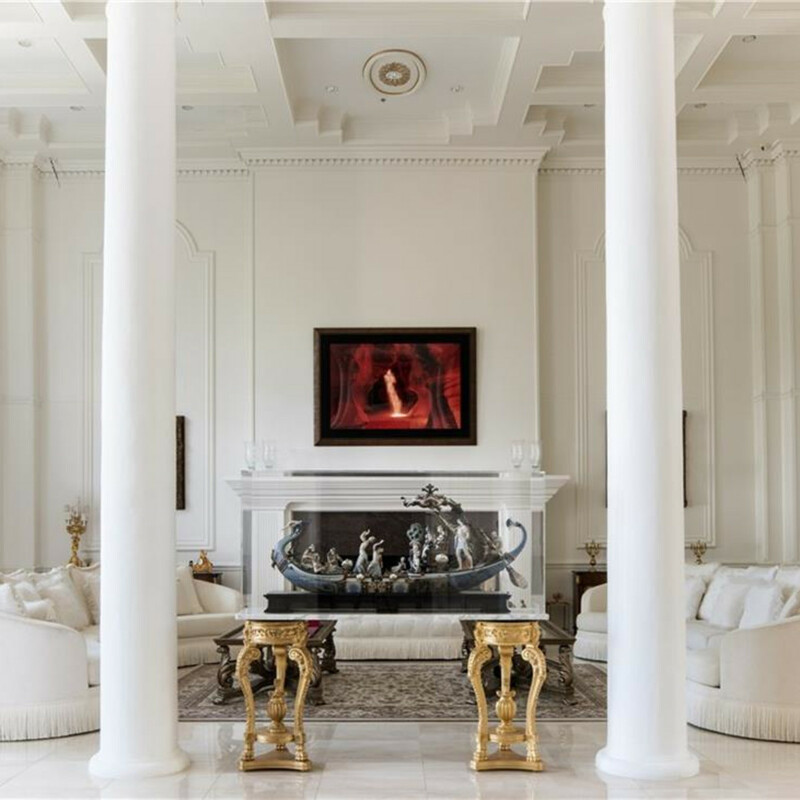 This palatial Mediterranean resort-style home has been referred to as “The Mansion” for years. That, in no way, prepares you for what you will experience once you cross the threshold. 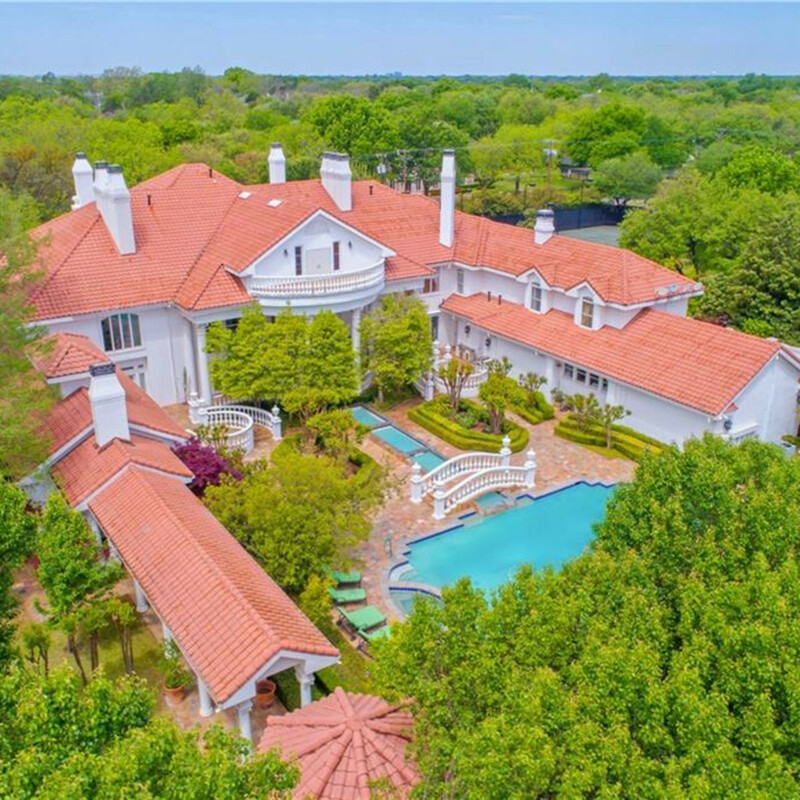 It really is a Dallas palace. 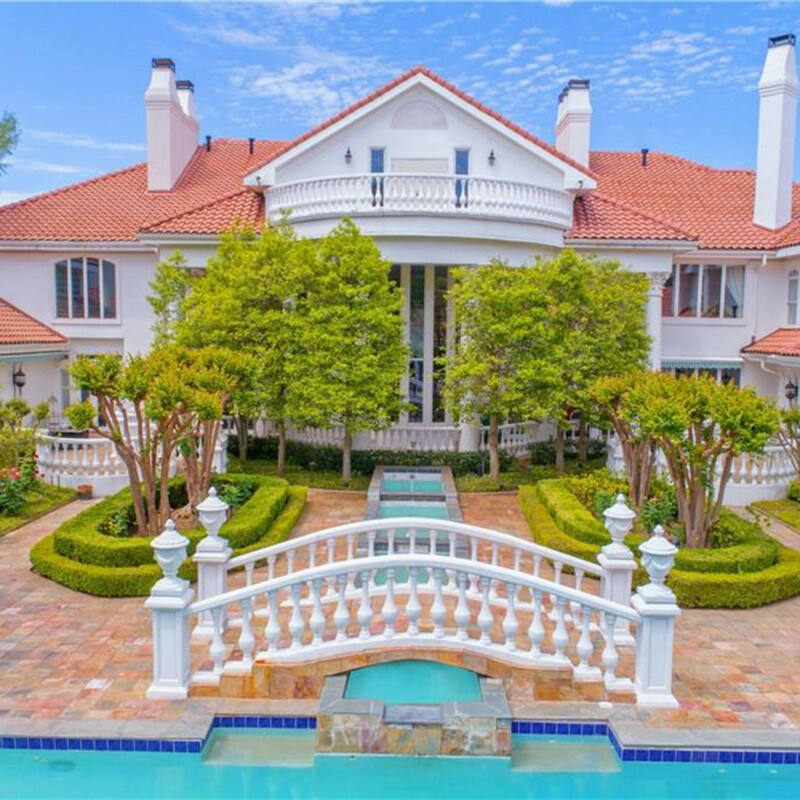 And it's now on the market, listed with Allie Beth Allman’s Kevin Tally for $12.995 million. 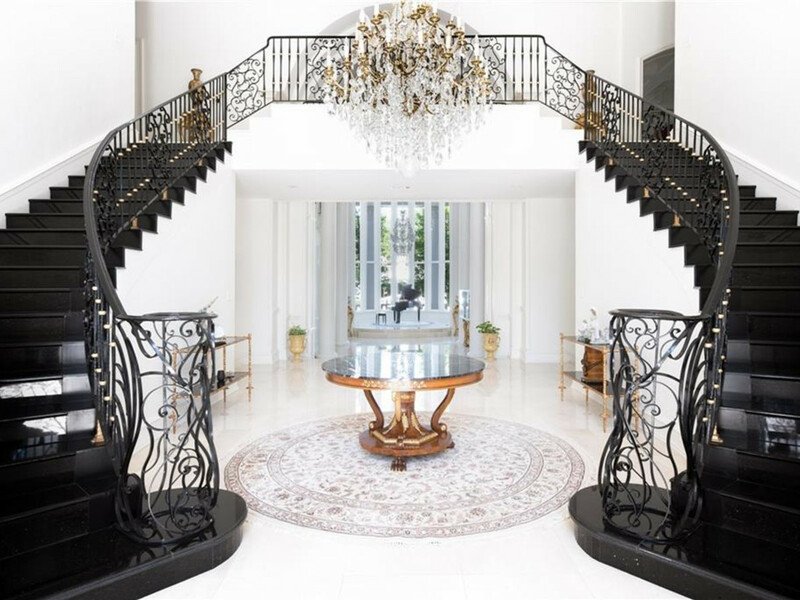 Think about the image of Belle descending that iconic staircase in Beauty and the Beast, except better, because this home has not one but two sweeping black marble staircases, rising from the 75-foot long grand arcade entry. The contrast takes drama to an entirely new level. Of course, there's an elevator to whisk you back upstairs. 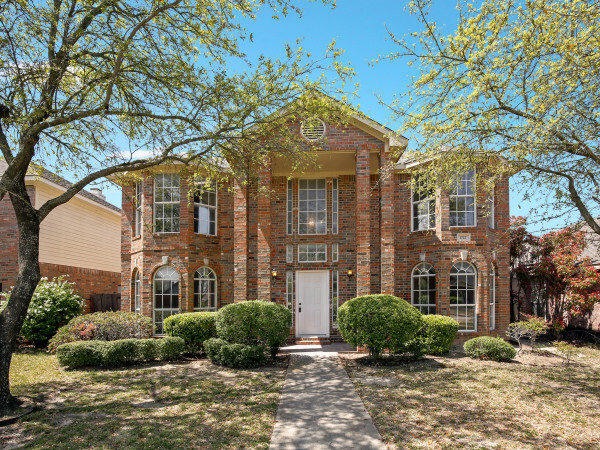 The three-story Dallas palace was built in 1985, and at the time was the largest spec home in America. There have only been three owners besides builder John Needham. 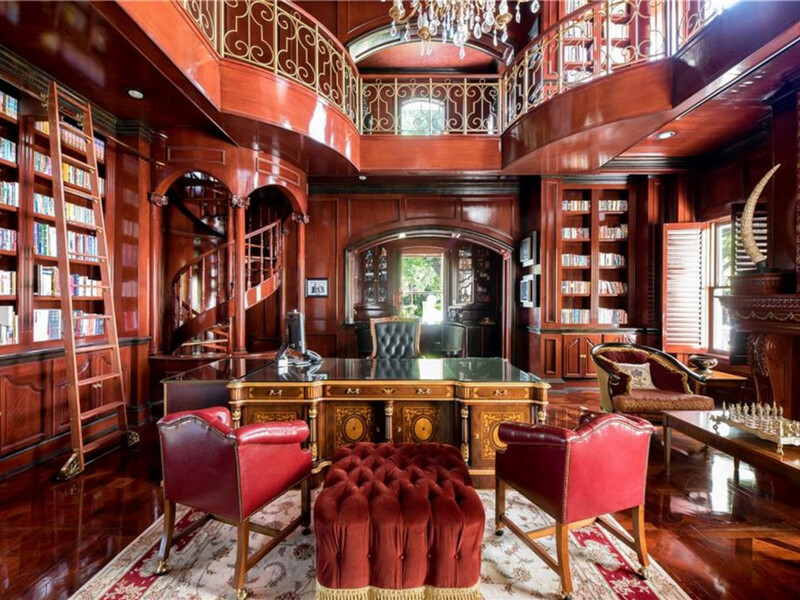 Needham had an ambitious dream of building the most incredible house in the world and felt he’d accomplished his dream with the help of architect Fred Wynn. At the time, it was also the most expensive spec home ever built. 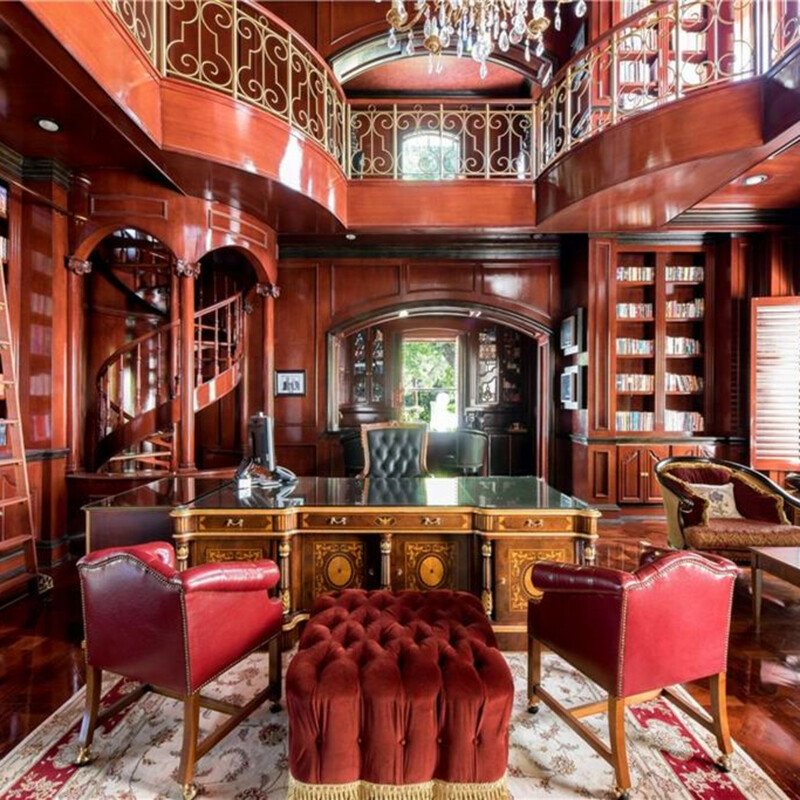 Needham sold it to Oilman Jerry McCutchin and his wife, Sharon. 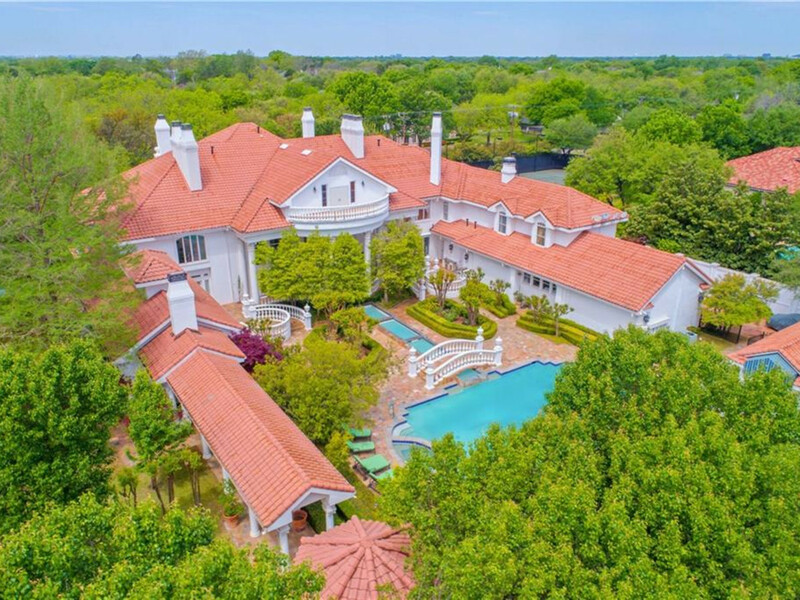 The next owners, Jerry Rogers and Jodie Shelton, allowed the 18,288-square-foot home to be used as a location for Mark Cuban’s reality television show, The Benefactor. 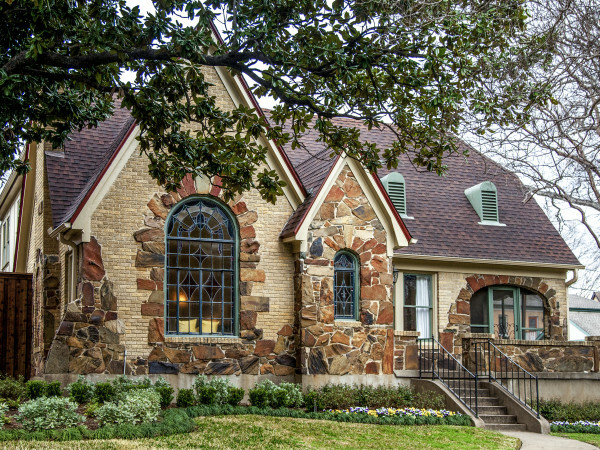 There's evidence that another famous Dallas resident was keen to move in. 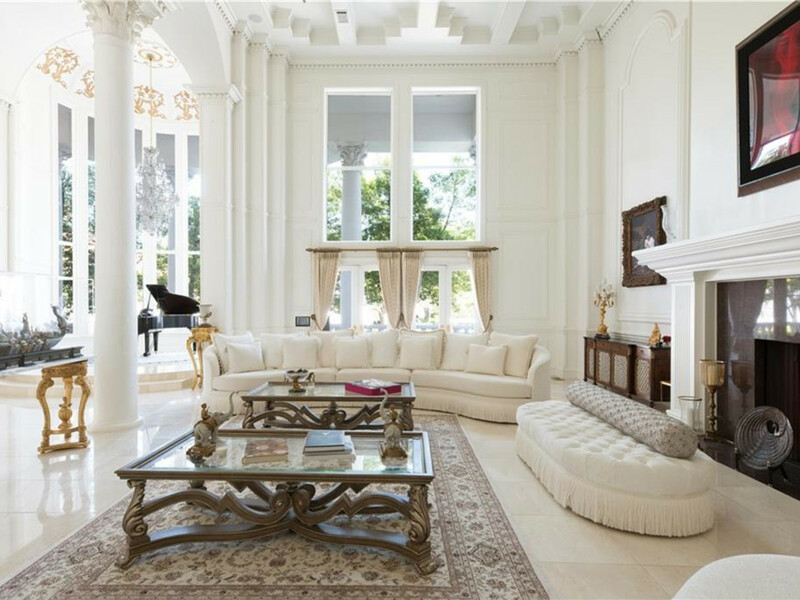 A piece from a 2009 Haute Magazine article on Realtor Marilyn Hoffman says cosmetics queen Mary Kay Ash dropped $4 million for a house on Douglas under construction by builder John Needham. 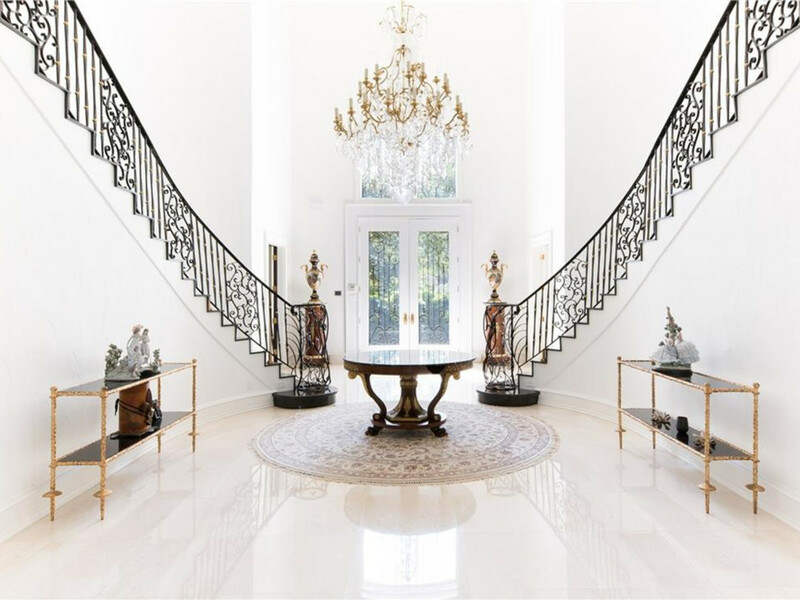 "It is the most expensive spec home ever sold in Dallas,” Marilyn said in the article, adding, “Mary Kay plans to move in April and has been to Europe to buy some of the furnishings." It is thought that the deal went south and that’s how Mary Kay ended up down the street in her iconic pink mansion. 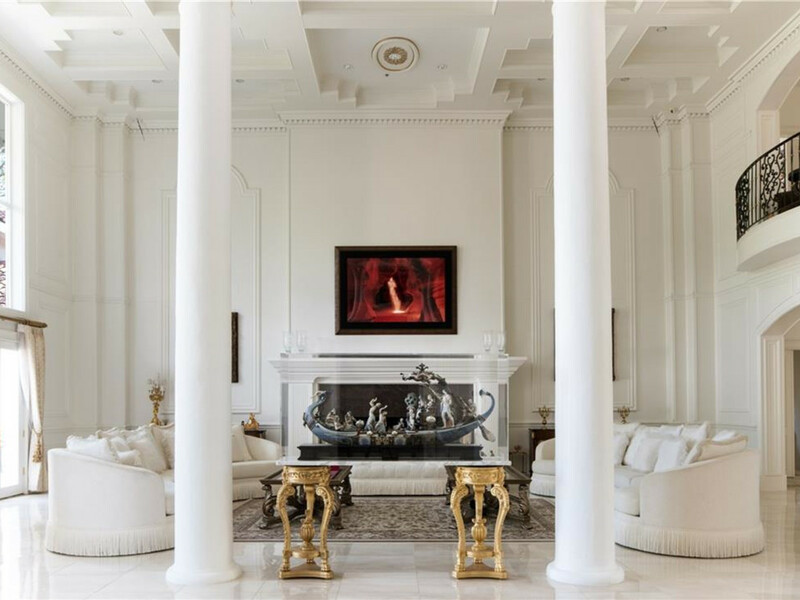 As palatial as this home was in 2005 when the present owners purchased it, the changes they made completely redefined luxury living in Dallas. 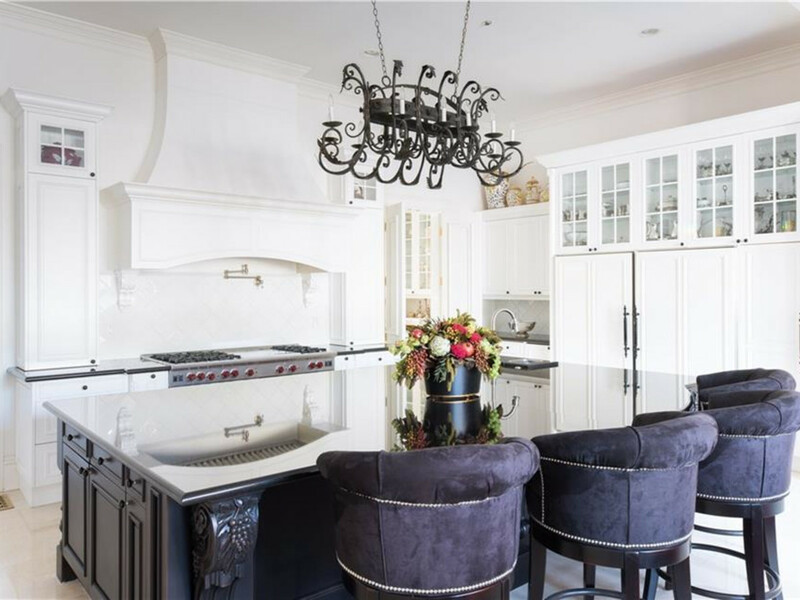 Although the 65 columns, soaring arches, and cabinets twice as tall as an average man were all existing, just about everything else has been replaced, updated, improved, or completely remodeled. 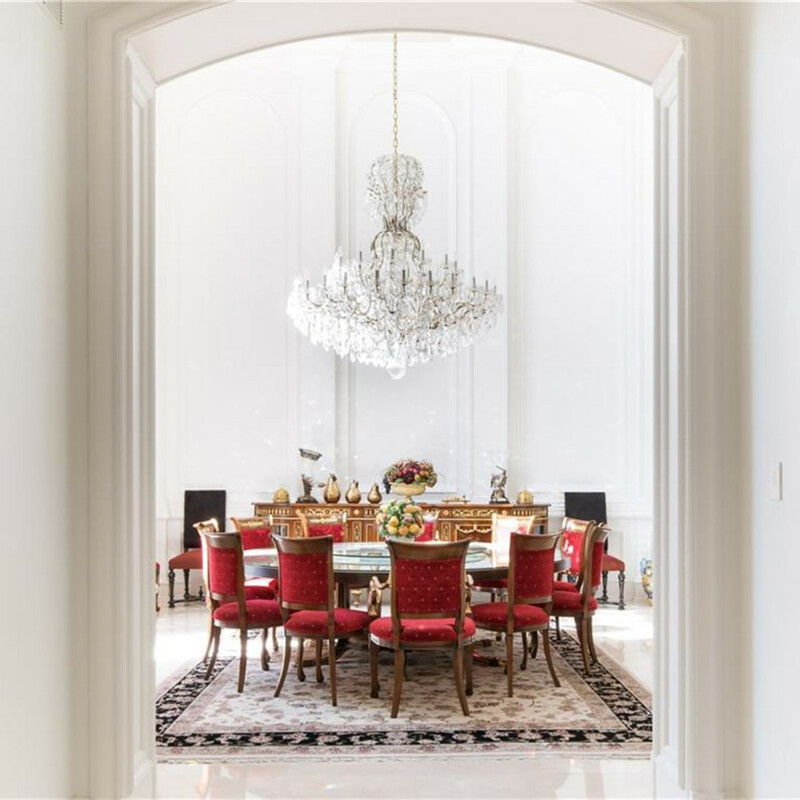 There is 24-karat gold-plated hardware throughout the house. 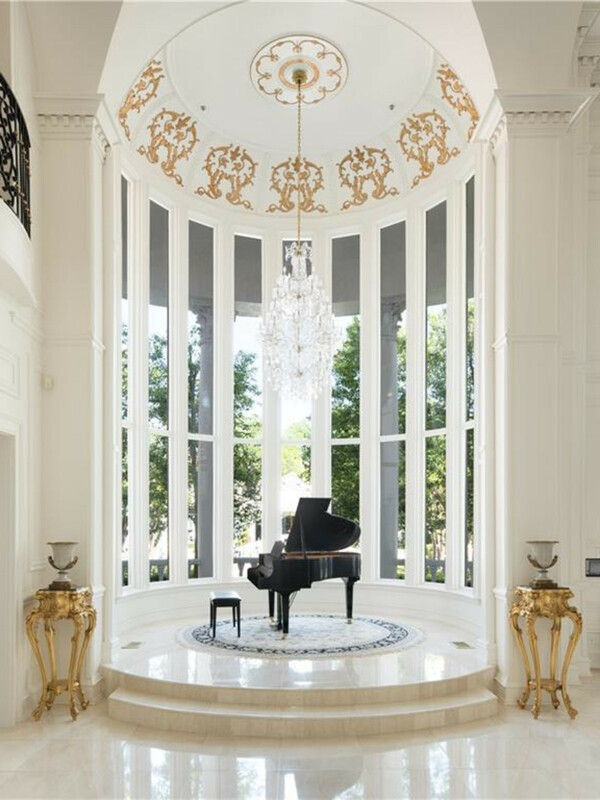 The dome over the piano has been embellished with more 24-karat gold, and it’s just the right foil for the brilliant white walls. One of the most thoughtful changes was the extensive use of white. 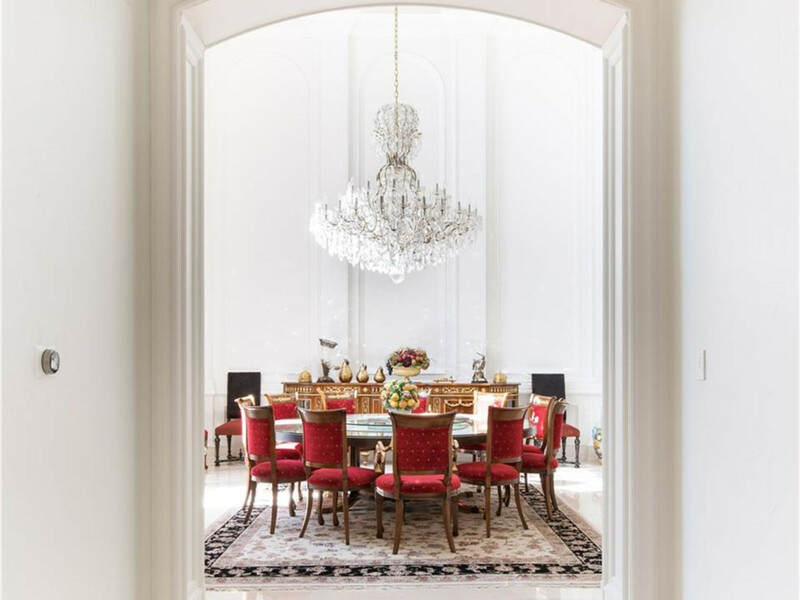 The floors are white marble, and the owners had the walls and cabinetry in the public spaces painted a brilliant white, which showcases the stunning architecture magnificently. 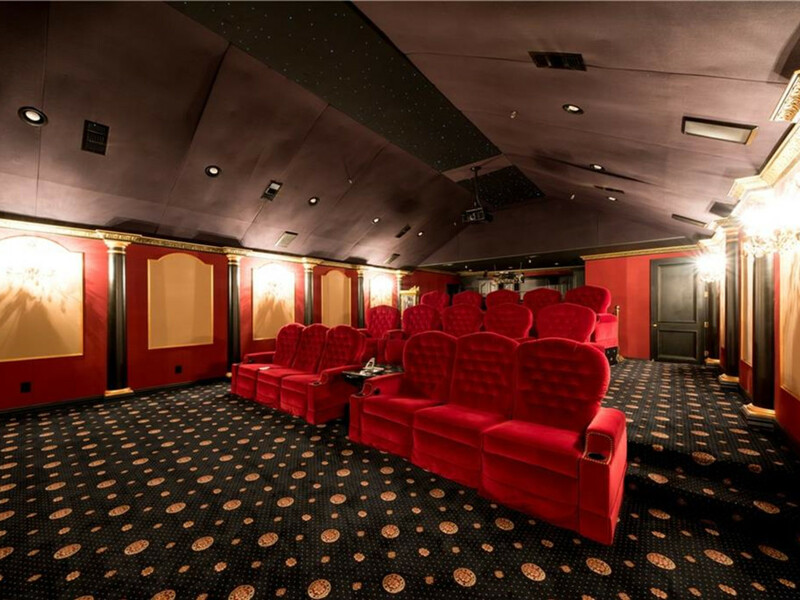 The home has eight bedrooms, eight bathrooms, three powder baths, a game room, two dining areas, and a grand screening room with a sound system that surpasses almost anything you’ll find in a commercial theater. 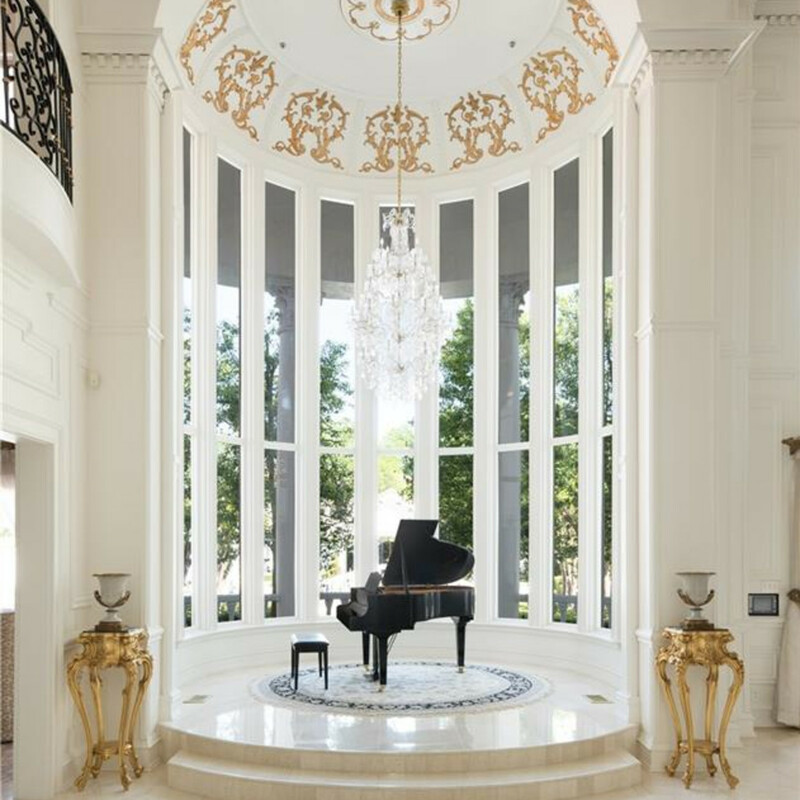 There is also a music loggia on the mezzanine level, as well as two opera balconies. 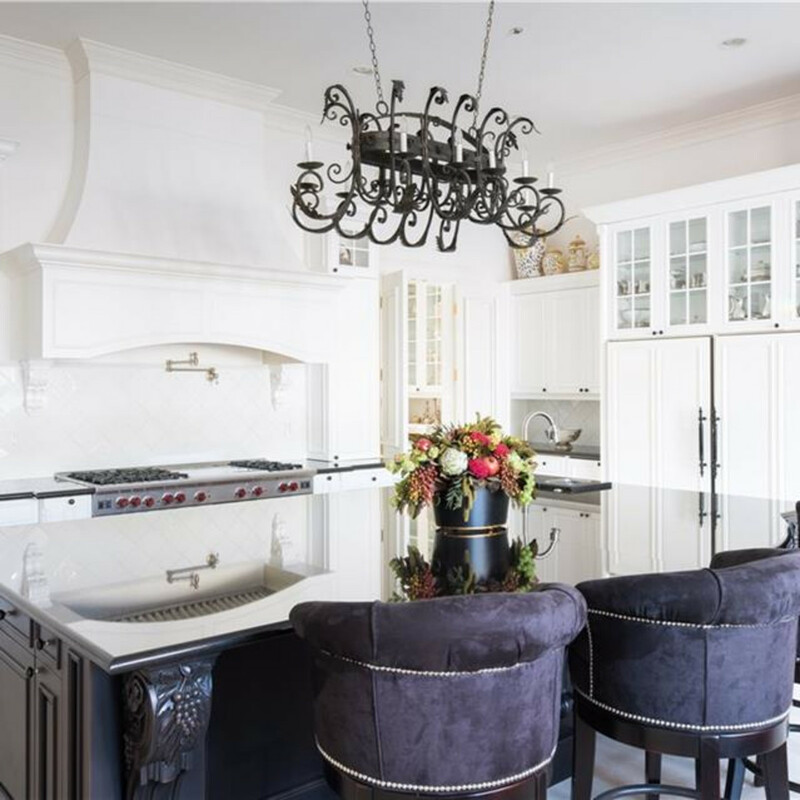 The present owners created a private garden area off of the two-story, 3,500-square-foot master bedroom suite, complete with a screened gazebo. 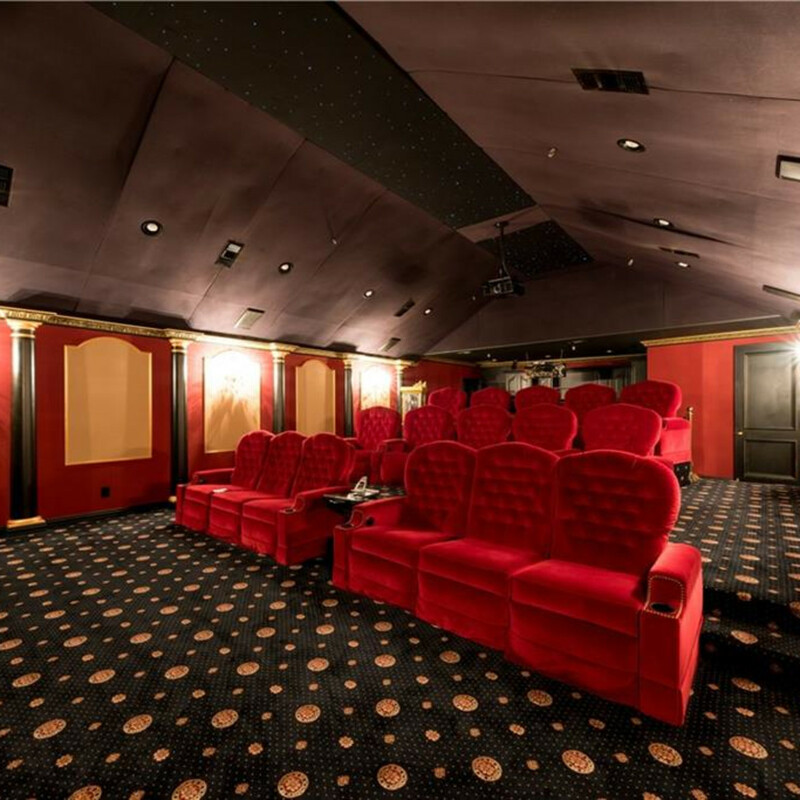 That master has a separate living room and a full theater-sized screen that descends from the ceiling. 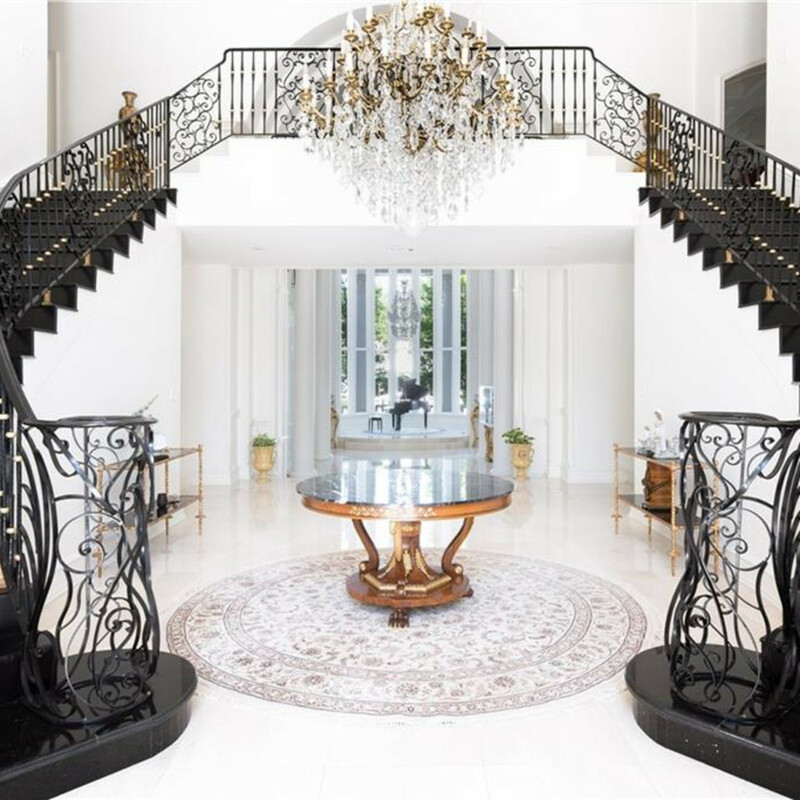 The spiral staircase leads to another enormous private living area. 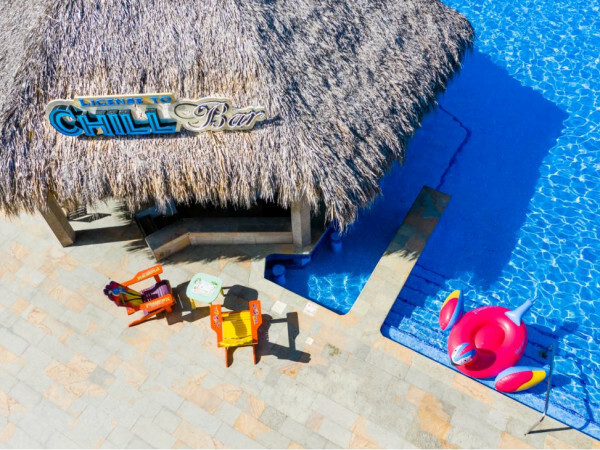 In addition to the main home, there is an 800-square-foot guest cottage on the property along with a full-sized sports court, cabana, and snack bar. 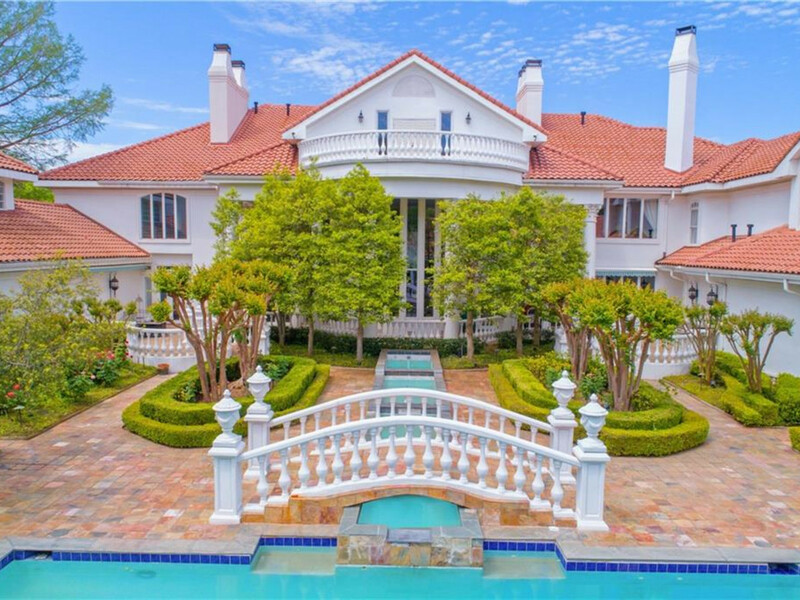 The enormous 65-foot pool, replete with water features, was inspired by the Hearst Castle in San Simeon, California. 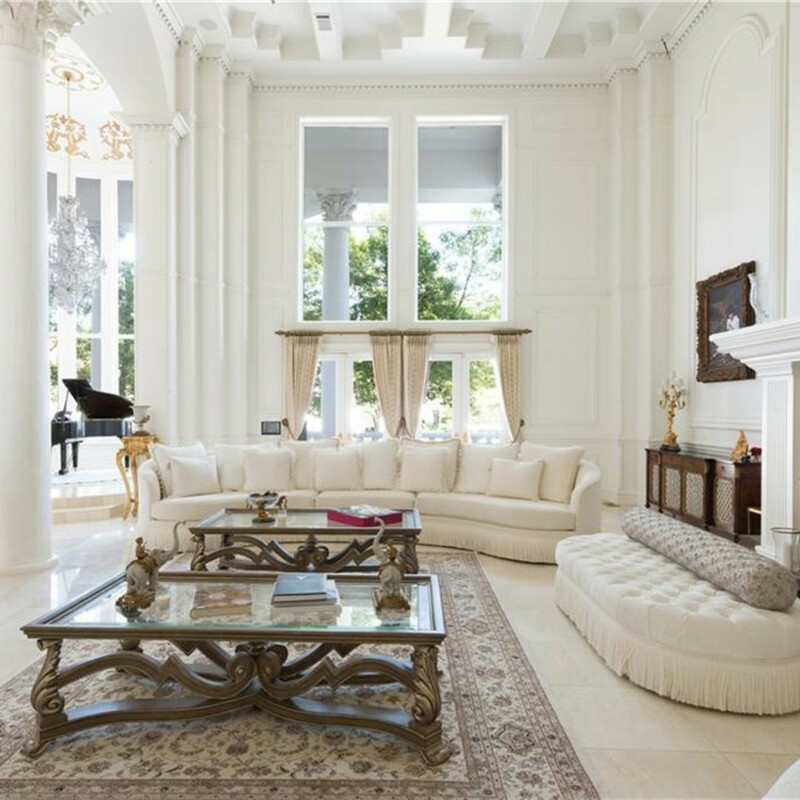 A 40-foot balcony on the top level of the home provides a breathtaking view of the lush grounds. The beauty of home lies not just in the majestic architecture and thoughtful updates, but also in the way it was constructed. Total privacy was created for every member of the household yet in a way that makes you still feel connected.